SOUTHAMPTON, PA, USA, April 16, 2014 – Aircrew Training Systems (“ATS”), a division of Environmental Tectonics Corporation (OTC Pink: ETCC) (“ETC” or the “Company”), announced today that it signed a contract with the Air Force Life Cycle Management Center (“AFLCMC”) to provide up to four spatial disorientation flight simulators following a competitive bidding process. 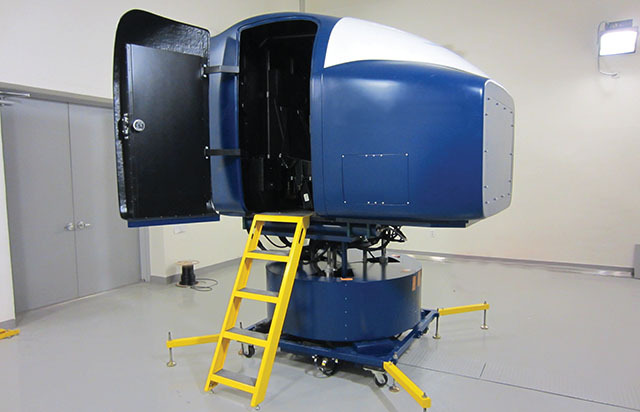 The AFLCMC selected ETC’s GYRO IPT II (Integrated Physiological Trainer) to fulfill the requirements of their new Spatial Disorientation (SD) Training System Program. The GYRO IPT II will support the SD training requirements in the Air Education and Training Command Student Undergraduate Pilot Training syllabus. The system will expose undergraduate pilots and aircrew to typical vestibular and visual illusions found in aviation, enabling them to recognize, confirm, prevent and recover from SD. The four units are scheduled for delivery to Sheppard AFB TX, Laughlin AFB TX, Columbus AFB MS and Vance AFB OK, with installation expected to begin in the spring of 2015. ETC’s GYRO IPT II provides pilots with a hands-on, realistic, full motion, spatial disorientation flight training experience. While in control of a simulated flight, the pilot can be exposed to a variety of selected disorienting illusions. Unlike simple disorientation demonstrators, a pilot in the GYRO IPT II has full closed loop control of the simulation before, during and after the illusion. This capability creates a fully interactive flight training environment where the pilot must maintain control of the simulator and fly through the illusion to a successful resolution during training. This acquisition marks the fourth contract awarded to ETC by the USAF in the past five years. During 2009 and 2010, ETC was also selected to provide its Authentic Tactical Fighting System (ATFS-400) and a suite of four Altitude Chambers to Wright-Patterson AFB OH. In 2012, ETC received an additional contract for an Altitude Chamber to be delivered to the Spanish Air Force via Foreign Military Sales (FMS).